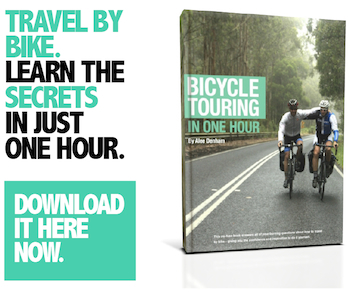 I’m addicted to bikes, coffee and travel. 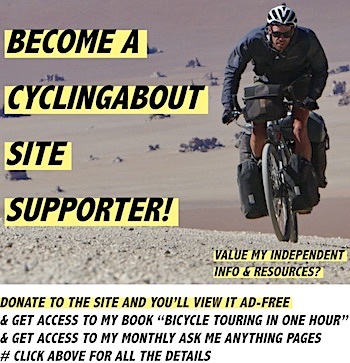 By clicking on this review, I feel like you too probably share these passions. 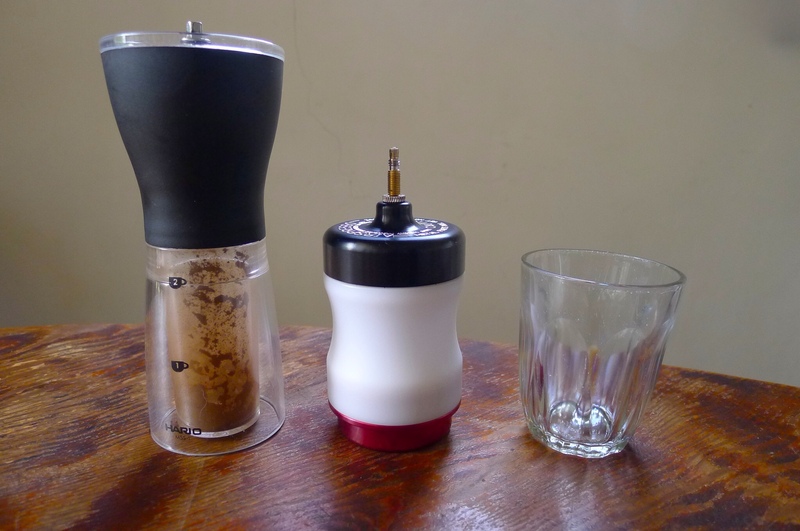 In that case, let me introduce to you the Australian-made Airspresso coffee maker. 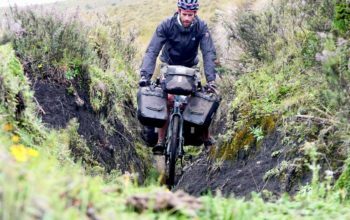 It’s the best espresso maker you’ll find for bicycle travellers. Really! 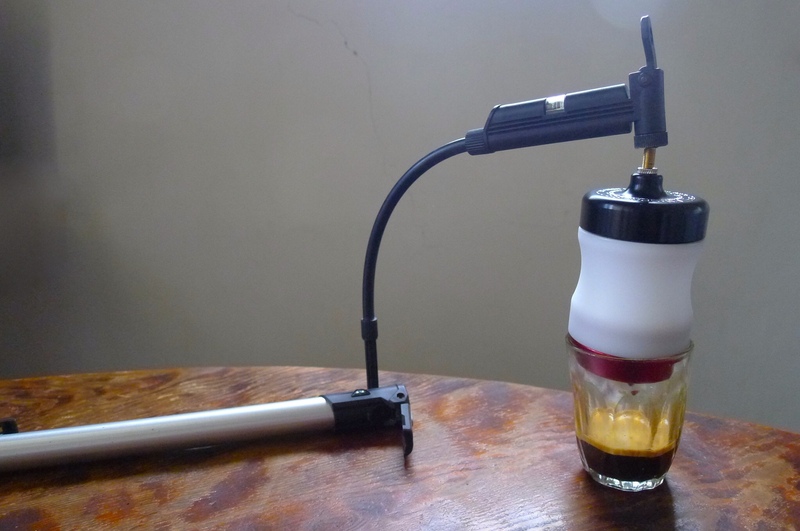 The Airspresso uses air pressure, rather than steam or pumped water to extract the coffee. 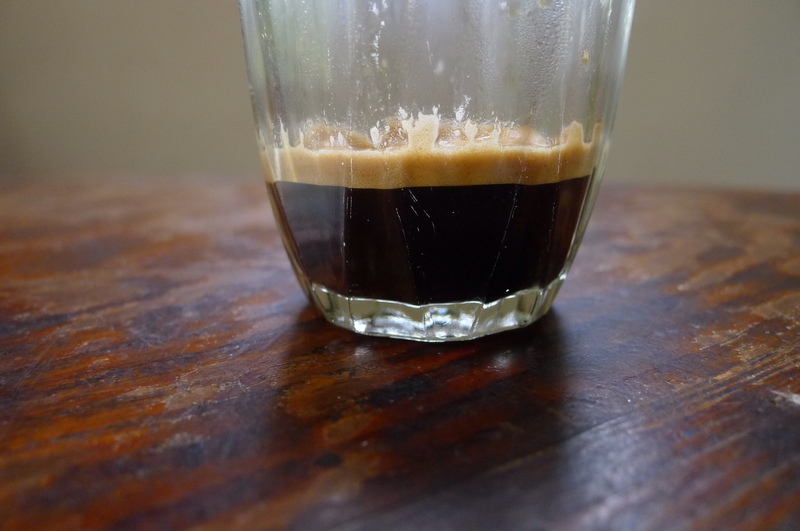 By using hot water rather than steam, many of the bitter extracts normally flushed out remain in the grinds, allowing a smooth, almost sweet high crema shot to be produced. 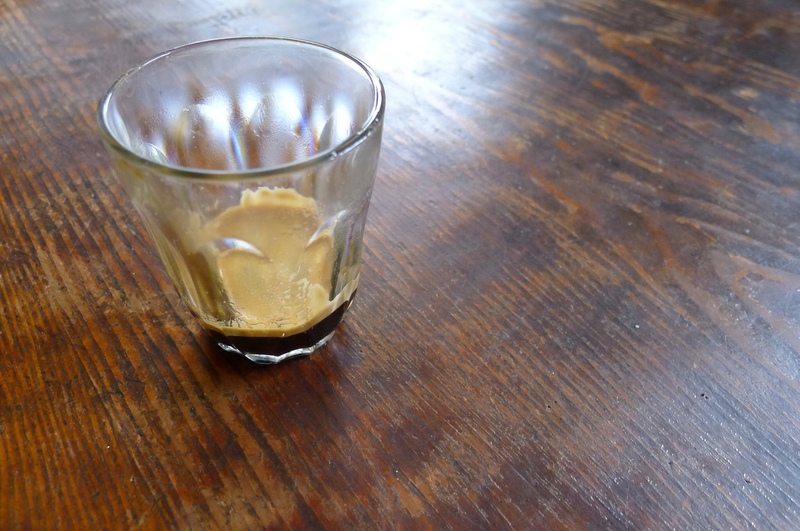 Pros: Best espresso you can make without using a machine. Small. Light. Thick crema. 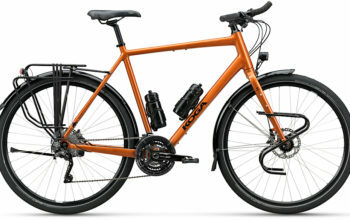 Made in Australia and designed in Melbourne. Spare parts easily available. Cons: Bit of a bugger to clean, making multiple-coffee-production a slow process. I began opening the package I had received from Airspresso with great enthusiasm, hoping that I wouldn’t break anything in this hurried state. After a successful unwrap, I picked the Airspresso up and the first thing I noticed was the relatively small size of the unit: it’s no bigger than a small jam jar. Threading the coffee basket off the bottom gave me my first impression of the precision that had gone into making the Airspresso. 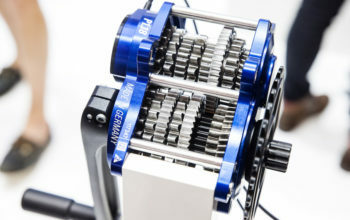 I’m a sucker for mechanical precision. I remember buying a Hadley rear hub in my teens, taking pleasure in checking the hub’s insides as they were so incredibly well-crafted. The feel of threading the Airspresso coffee basket on and off its body offers similar satisfaction. I love the laser etched details on the top, and the colour coding of the red basket to warn users that this part becomes hot when in use, is a great touch. 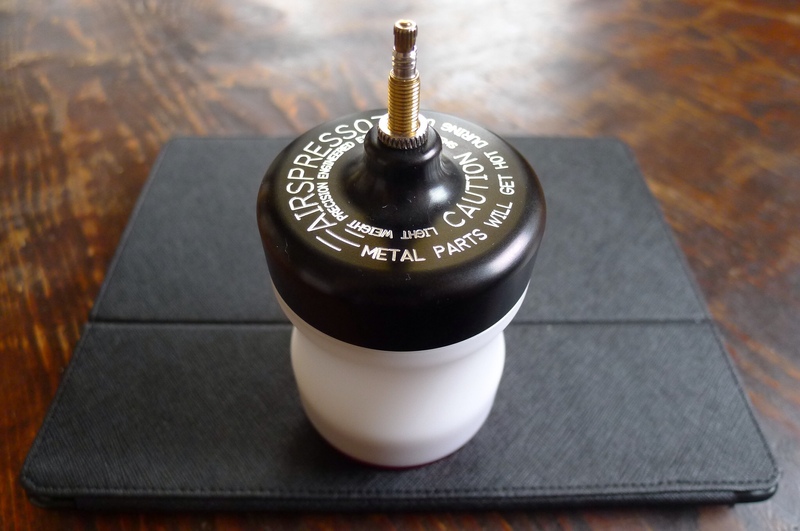 An industrial plastic tamper is included with the Airspresso which is size-perfect and thus provides a precise fit into the coffee basket. 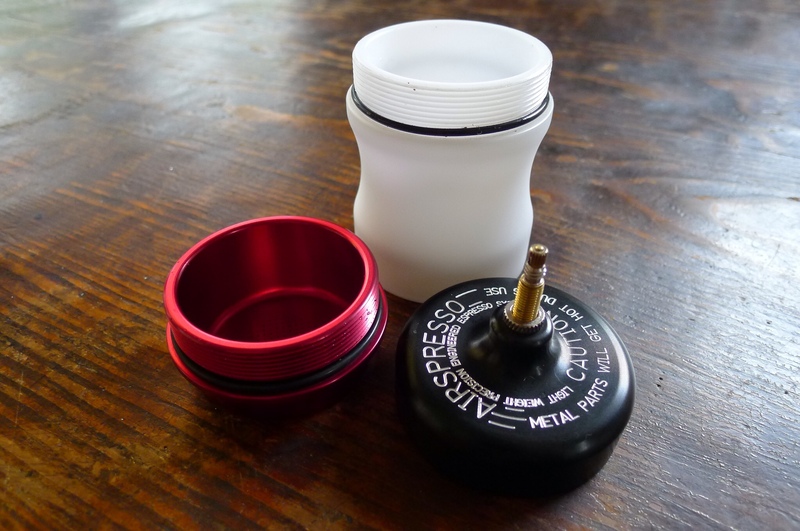 Both a plastic and wooden cup adapter are included in the kit, however, the KeepCups that I carry with me are small enough to ensure the Airspresso doesn’t fall in. I’ve been playing around with all kinds of cups at home and have found that a lot of small cups will allow you to sit the Airspresso atop them in this manner. The coffee basket holds up to 26g of ground beans, still leaving enough room for the tamper to effectively compress the grind. 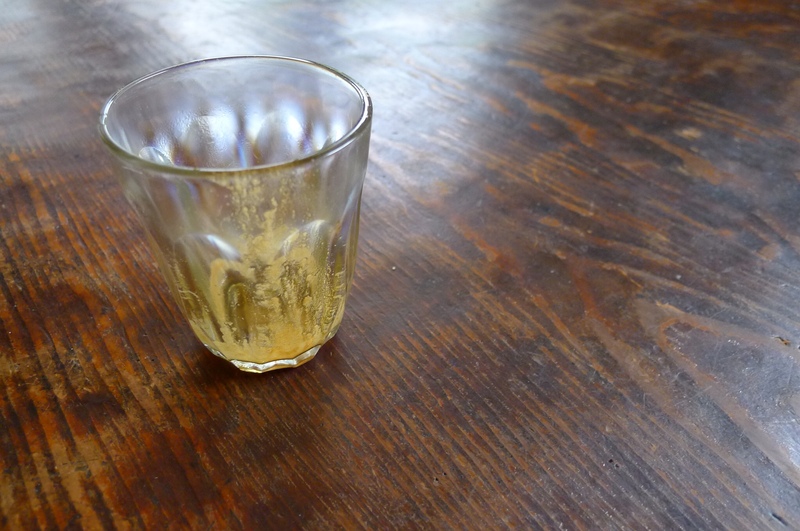 This is roughly the same as what a home machine will use for a single shot espresso. 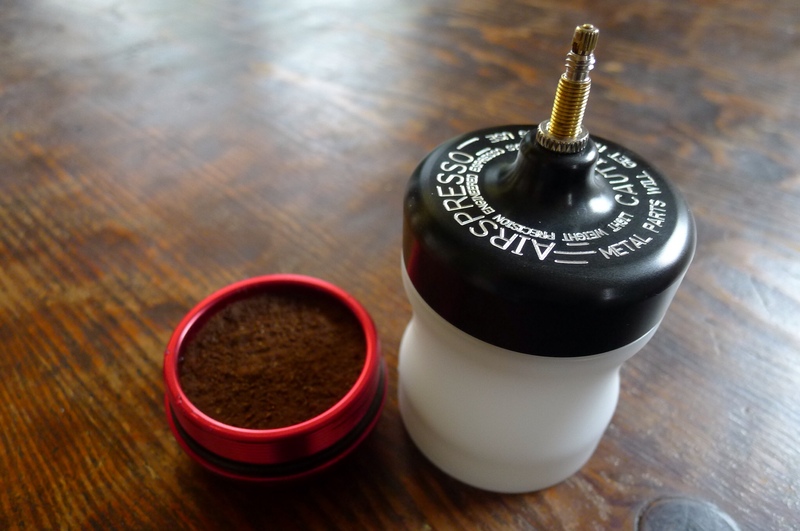 The Airspresso is four simple parts: a bicycle valve, a coffee basket (red), a plastic body and the top cap. 1. Load the coffee into the basket. Depress the coffee with the tamper. 2. Screw the basket into the bottom of the plastic body and sit the Airspresso over a cup. 3. Fill the Airspresso with hot water to your desired amount. The maximum amount of water it can take is about 110ml, but short black coffees are generally only 30ml. I go somewhere in between. 4. Screw the top on. Pump the Airspresso to between 80-120psi. Within 20 seconds your short black will have fully extracted. 5. Drink and enjoy! 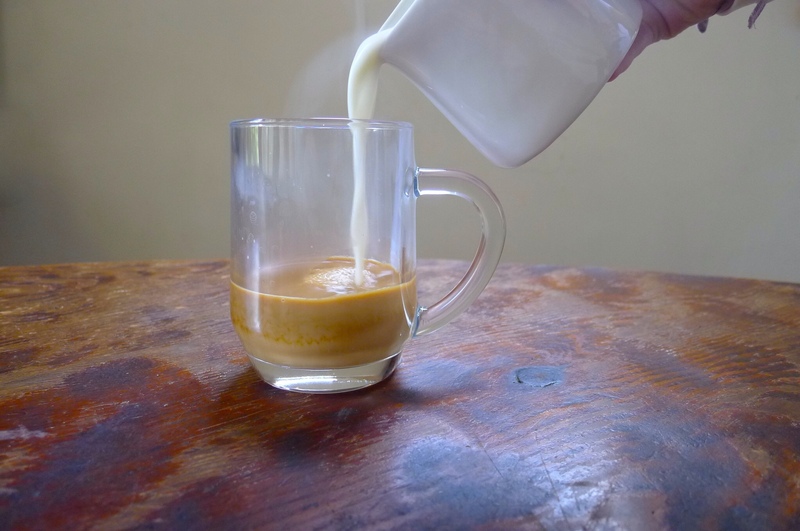 You are able to add the shot to some heated milk (heat it up in the same camping pot, after you’ve put the water in the Airspresso) if you prefer to drink it that way, or alternatively simply add hot water to make a long black. Although the Airspresso is a relatively straight forward espresso maker, there are a few variables that you can adjust to make a better coffee. You can choose how much hot water you’d like to put into it, the temperature at which the hot water goes in, how fine the grind size is and how fast you’d like to extract the coffee. Like anything ‘coffee’, the quality of the beans and water will make the biggest difference, and of course the best gets you the best. Through the extraction process, the higher the PSI measurement, the faster the coffee extracts and the thicker the crema. I personally prefer a slightly thicker crema, meaning I run a fine grind on dark beans, and pump to about 100psi most of the time. I have tried the Airspresso in all different variations, including fine through to heavy grinds, hot to warm water, 30ml to 110ml of water, 80psi to 120psi of pressure and as a shot with heated soy milk. – 50ml shot, fine dark-roasted grind, water straight off the boil, 100psi, drunk as a short black or with 3/4 of a cup heated soy milk. – Anything less than 50ml. I found it didn’t extract properly as it was forced through the basket too quickly. – The 110ml shot tastes way over extracted. 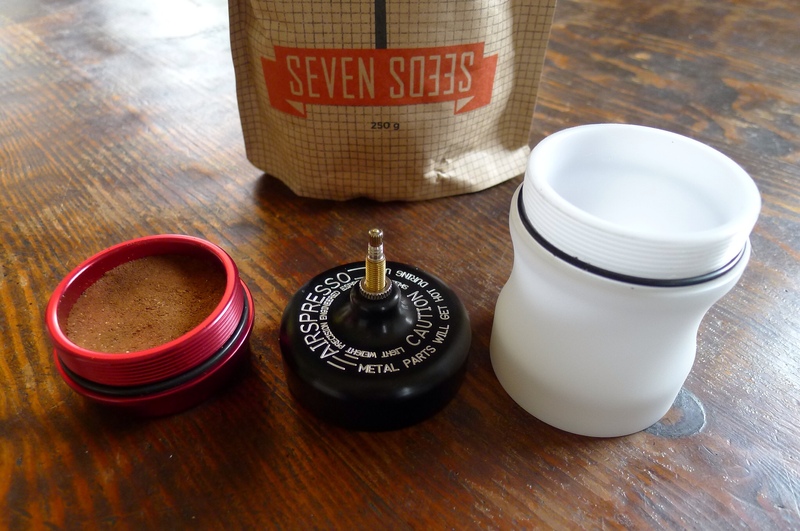 – Coarse grinds don’t get the full flavour out of the beans. You will need to tamp the coffee grind in the basket before filling with water and pressurising. As of 2012 you can now get a super lightweight tamper. 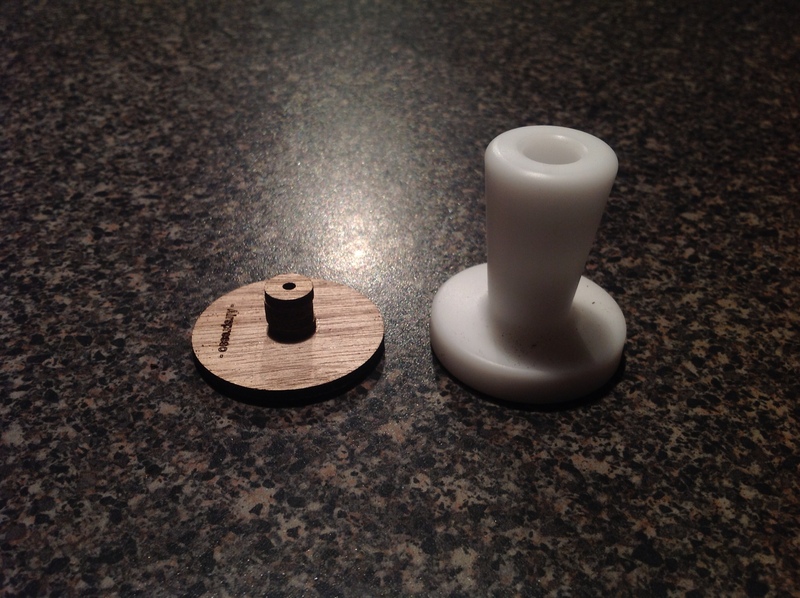 It’s a luan ‘flat pack’ tamper and cup adapter. The total weight of the new luan tamper… FIVE GRAMS. I can quickly, easily and accurately tamp my coffee in the morning with this tamper. 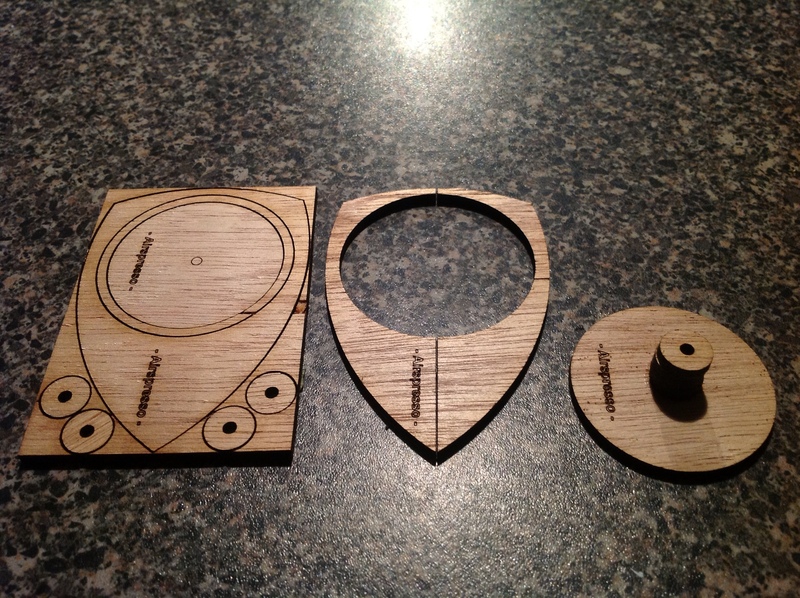 I used a bit of craft glue to tack the ‘rings’ onto the tamper. It took a few seconds, and I was away. Once you’ve made your coffee with the Airspresso, you have to wait a minute or two before the coffee basket cools enough to unscrew it comfortably. Once that’s off you have to remove the used grind. 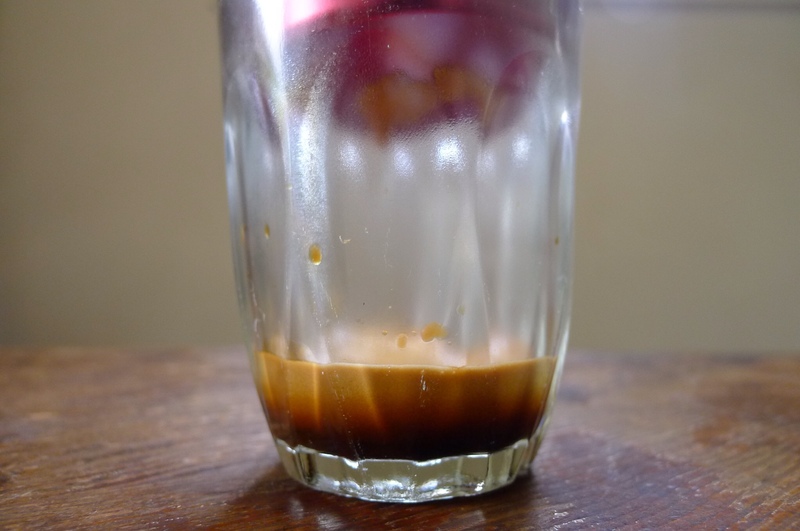 The Aeropress allows for a pop-out discard of the used grind, however, the best process I have found for emptying the Airspresso’s basket has been to use a spoon and scrape around the edge. With the cool-down and spoon-clean process in mind, you can probably imagine that making four coffees is not exactly quick. The Airspresso is a phenomenal piece of gear. It’s small, light and elegant. It produces the best short coffee out of any travel setup I’ve tried. 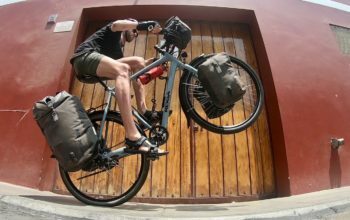 It’s durable and perfect for bike touring. 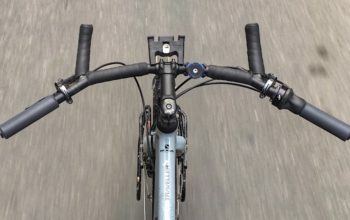 The cost may seem somewhat high, but when you factor in design, taste, precision of parts and the fact that it’s made in Australia – it’s not too hard to justify. 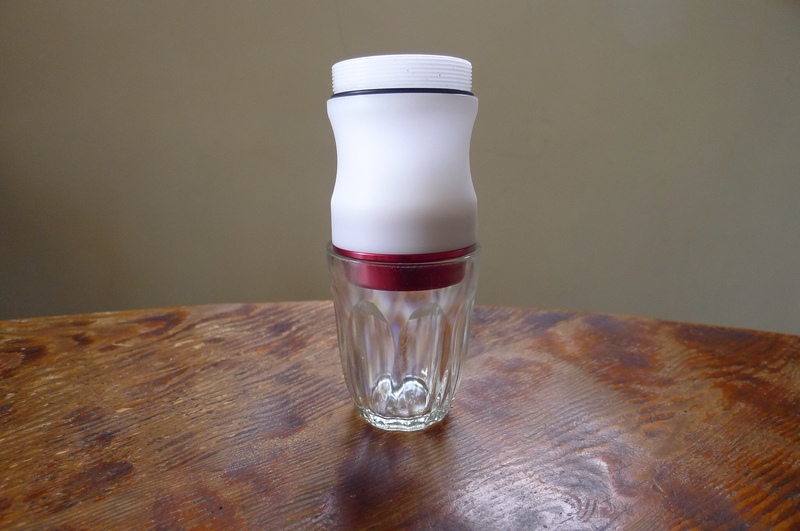 If you like your coffee short or with just a little heated milk – the Airspresso is a wonderful travel companion.